The North Sea giant Johan Sverdrup comprises of four main platforms located approximately 155 km west of Stavanger. The field centre consists of four bridge-linked steel platforms. This includes a riser platform (RP), wellhead and drilling platform (DP), processing platform (P1) and a living quarter platform (LQ). During a mustering scenario, the primary challenge is to ensure that all personnel move to a safe location on the facility within the required time constraints. This creates much movement in the same direction, and sometimes also in the opposing directions, thereby causing bottlenecks and queues that hamper smooth and effective mustering of personnel. During the early phases of a project, plot plans and 3D models are design-input that is typically available. However, understanding the flow of personnel in a mustering situation based on this input is a challenge and is often left up to the decision-maker’s understanding and expert judgement. 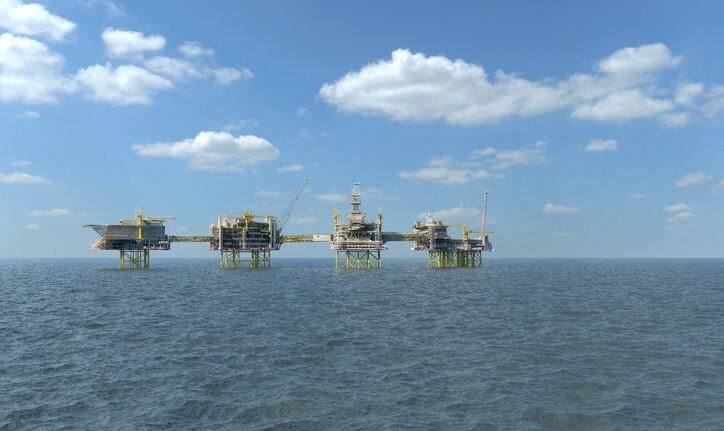 For Johan Sverdrup, this was particularly challenging because with a large number of personnel-on-board at any given point-in-time, and personnel spread across different locations depending on the time of day, gaining an overview of the situation is not easy. To provide Statoil with a better decision basis, Safetec developed a simulation model which models the flow of personnel across the field centre during mustering. The objective of the study was to verify that the “maximum time to muster” was sufficient for all personnel on board the Johan Sverdrup field centre. Further, understanding the pattern and movement of people was also of immense interest, particularly to identify bottleneck locations on the LQ platform. The results from the study would be used as input to specify possible operational measures that, if necessary, could be implemented to ease the mustering process. The simulation software used for this study was ExtendSim, developed by Imagine That Inc. The input used include plot plans, platform 3D models, expected manning distributions, etc. The study uses Discrete Event Simulation to simulate the movement of personnel across the field centre. The model allows for realistic simulation of people’s movements, including walking speeds along corridors, up/down staircases, time to put on survival suits among various other parameters. Easy import and export of data to and from excel make the model very user-friendly, allowing Statoil to modify input as they will, re-run simulations and study the results on the familiar Microsoft office platform. The study covered analysis of various scenarios. For instance, mustering during a day shift versus a night shift, mustering with full POB versus medium/minimum POB. These different scenarios covered the entire spectra of operational scenarios for the Johan Sverdrup field centre. The scenario analysis provided a sound basis for planning operational measures to aid smoother mustering of personnel. The simulations results revealed that the people starting from the living quarters (e.g. in their cabins or the common areas) and the people arriving from other locations mostly avoided each other, thereby not creating too many queues and bottlenecks as was originally anticipated. Furthermore, the study verified that full mustering could be achieved within the specified time requirement. Such escape time studies are beneficial and applicable for both offshore and land-based industries. Such studies help our clients understand any potential challenges early on during design and take adequate action before detailed engineering is finalised. They also provide a much cheaper and more feasible way to analyse mustering time compared to real life tests. Experimenting with different parameter values and cases may be done with a few keystrokes on the computer. Performing various drills to achieve the same results in real-life is not a practical option. John Magne Øyra project manager for this project expressed his satisfaction with the successful completion of this project, “This has been an exciting as well as challenging project. We have delivered optimisation services which help our client document safe mustering for the Johan Sverdrup complex. Positive feedback from Statoil shows that our knowledge and method are very applicable to help solve a varied set of problems. Through this project, we have taken a step forward in Safetec’s service portfolio for optimisation studies”. For further details on such simulation studies, please contact Stefan Isaksen (Principal Safety Engineer) by email: sis@safetec.no or by phone +47 924 41 097.